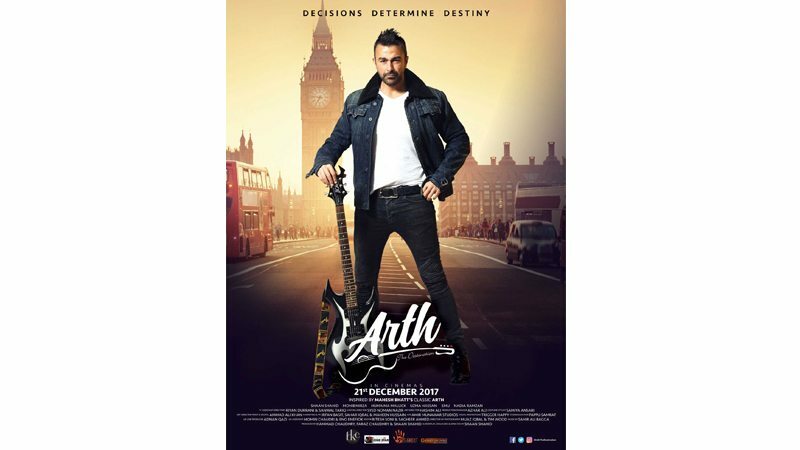 After much anticipation, ‘Arth – The Destination’ hit theatres on Thursday. Based on the critically acclaimed story written and directed by Mahest Bhatt, the story revolves around the lives of four characters. Ali, a struggling musician played by Shaan Shahid, Uzma Hassan, a writer who has her life turned upside down after her filmmaker husband falls in love with a glamorous film star played by the ever beautiful Humaima Malick. The romantic musical explores the concept of self-discovery and how each one of us is responsible for writing our own story. The film focuses on a deceitful marriage and heartbreaks that come with it. Uzma played by Uzma Hassan, rose as the star of the film with her stellar performance and executed some very powerful scenes. Not only the acting element but also the deliverance of the dialogues was done flawlessly. She beautifully exhibited the struggles of moving on from the worst phases of life. Shaan Shahid as the forgotten artist, Ali, makes us fall in love with his character from the very start. He showed his acting prowess as he now portrayed a character much more different than any character he’s ever played before and it was great and refreshing to see him in this light. His character as a musician really stood out especially at the best song of the movie “Murshad ji”. However, Shaan’s true triumph is in the fact that he is the one who wrote the script for this beautiful film about two women and bringing their narratives. Humaima Malick as the schizophrenic glamorous star delivered some of her career best performances. The time where Malick starts hallucinating is one of the most striking sequence of the film. That particular scene welcomed a lot of applause from the audience. Mohib Mirza was given little screen time as compared to the rest but played the role of a frustrated filmmaker exceedingly well. Despite strong performances by all four characters, the film lacked expertise on technical grounds. One could notice the over used jump cuts and the unnecessary movement of cameras. But apart from the flaws in production, the musical score gained momentum for the film. The Rahat Fateh Ali Khan and Sahir Ali Bagga duet “Murshed ji” was especially pleasing along with “Sanwar De Khudaya”. Through the magic created by the star cast with their awe-inspiring performances, ‘Arth – The Destination’ is bound to be the success it is truly meant for. Published in Daily Times, December 23rd 2017.